Baseball is one of the exciting games, and its give a wonderful entertainment to every viewer. The baseball players should have some tools to directly play the game. The glove is a major baseball tool that very essential to be a great player. Nowadays baseball players and others can buy cool baseball gloves from online shopping stores and other professional sports shops. 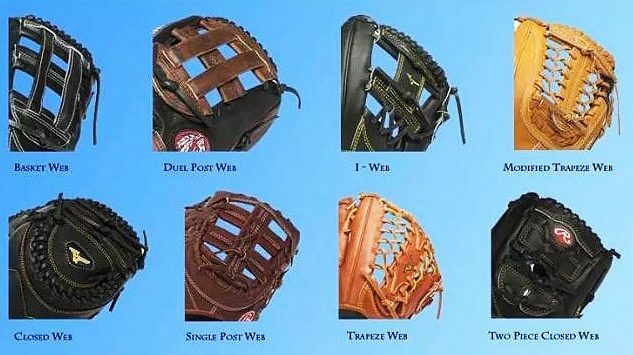 The glove must be reliable, so users need to choose the best baseball glove to avoid easy damage and difficulties while playing the game. Users need to buy gloves as per position of play. They have to decide a glove with basic terms that are the right-hand thrower and left-hand thrower. The right-hand thrower should wear a glove on the left hand, and left-hand thrower should wear the specialized glove on the right. Today most of the people are loves to play baseball that might give happiness to everyone. 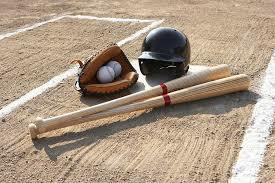 The men, children, and women want to buy quality baseball tools to play the quality game. The glove is essential for each and every player who is included in the game of baseball. The people must know about parts of baseball glove to simply a select the best glove. The baseball glove contains webbing, fingers, palm, and heel. The players need to choose a glove with considering some important factors. The pocket size of the glove should be varied as per position of players. Usually, outfielder glove is bigger than the pocket size of a middle infielder. The pocket size is a key factor that should help to catch the ball very easily. The players have to determine the position of play then choose a right glove to avoid unwanted difficulties. The webbing is normally available in every baseball glove. The players have to know about different types of webbings that are I-web, closed the web, basket web, dual post web, single post web, trapeze web, modified trapeze web and others. The webbings are mostly helpful for infielders to quickly catch the baseball. Totally eight kinds of webbings are available, so people need to choose a convenient webbing. The padding is one of the things to consider while choosing a baseball glove. The padding necessity also entirely depends on of position of the baseball player. The extra wrist padding is now popular, and it is very suitable for every baseball player. The glove needs to be fit so players need to choose a glove that should make by wrist adjustments. Most of the baseball gloves are made of synthetic materials, leather, treated leather and mesh. The comfortable glove is pretty important to play baseball games very smoothly. The synthetic glove is mostly inexpensive and light, and it is pretty suitable for young players. The treated leather gloves are highly conditioned with oils. This glove is good for the faster break-in period. The players must consider these important things before buy a reliable and quality baseball glove. The baseball players have the responsibility to choose a right baseball glove. Players can get fit gloves as per need. The player may be the infielder, outfielder, catcher and first baseman so fit glove is pretty essential to play comfortably. Nowadays many branded companies are manufacturing the baseball gloves. The cool baseball gloves are highly effective to play the entertaining baseball game. However, people have to buy a quality glove for longer uses. The users can buy it after considering special factors and other coach and professionals advice. The Catcher’s Mitts Are Now Very Popular Because People Can Catch The Ball Very Easily. The catcher’s mitt is not having any separate cut fingers, so it’s very flexible to catch the ball. The first baseman glove also looks like a catcher’s mitt. This is not having more padding, and it’s very stronger than other gloves. The players can buy first baseman gloves in various sizes between 11.5 inches to 13 inches. The pitchers’ gloves are also not having much padding but are very comfortable to wear. The pitcher’s glove is usually big in size, and users have to choose less weight glove to play the game comfortably. The infield glove is simply looking shorter, and it has the shallower pocket. The infielders can quickly pass the ball with this comfort infield glove. However, players can buy this glove in different sizes 11.25 inches to 12 inches. The outfield gloves are made for effective diving catches and other flying catches. This glove is pretty supportive to grab the ball. This is exclusively for all outfielders, and it is available in 9 inches to 15 inches. The players should know about different types of baseball gloves to only buy it without any hesitations.